Superdry women's Sleek Piste ski pants. 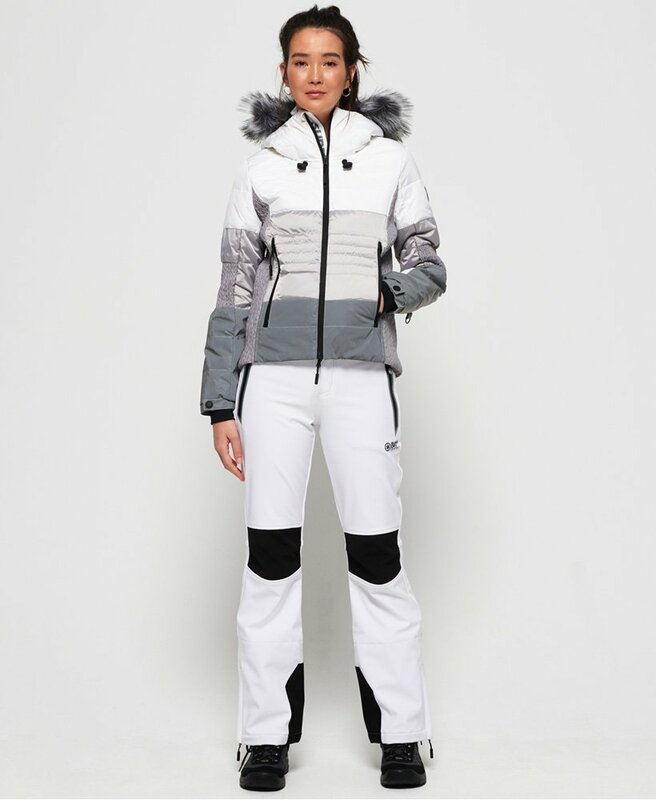 With a tailored fit these are the perfect pair of ski pants to make you look and feel great. Featuring a belt loop, hook & loop and popper fastening and two front pockets with coated zips. In addition, these pants have anti-scuff material on the ankle to keep you looking fabulous all season round and expandable snow-proof gaiters that easily go over your boot. The Sleek Piste ski pants are completed with subtle Superdry Snow logos and iconic Japanese inspired graphics.